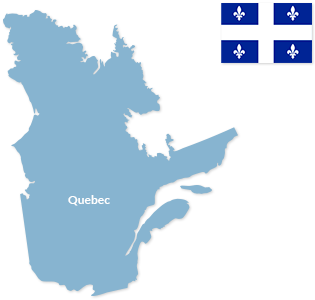 60 of the 72 school boards in Quebec are French-language school boards. They comprise nearly 2,400 public schools catering to more than one million youths and adults. These school boards are located throughout the province. In terms of postsecondary education, literacy training, and adult education, there are more than a hundred establishments in Quebec, including 48 general and vocational colleges (CEGEPs) and 13 universities.